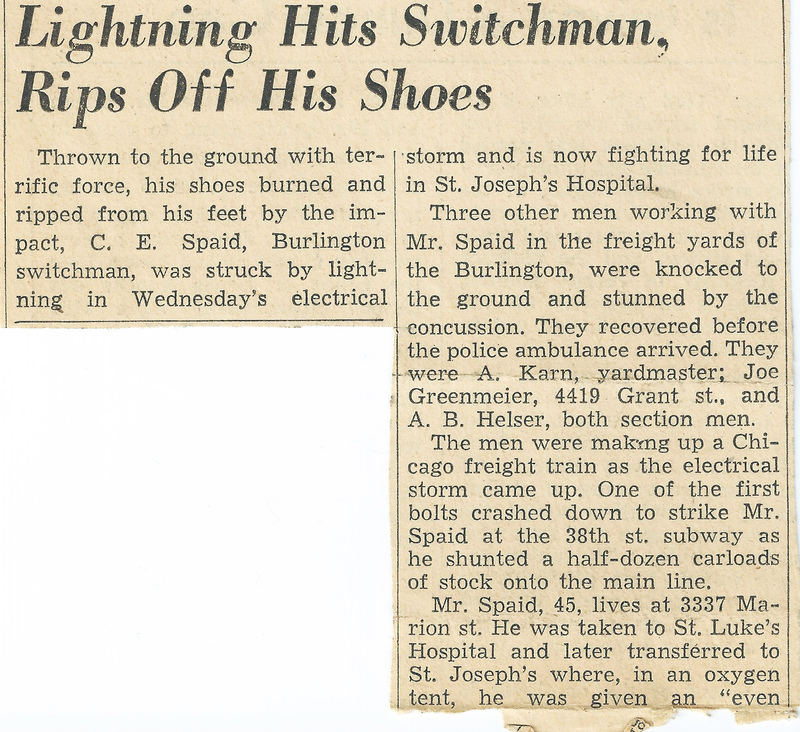 An old 1937 newspaper clipping and some faded photographs are definitive proof that Carl E. Spaid, a 45-year-old railroad switchman, was struck by lightning while working on the Burlington Route. As far as I know, a direct hit from a bolt of lightning is usually deadly, but the incredible (and almost unbelievable) part of this story is the fact that he survived. 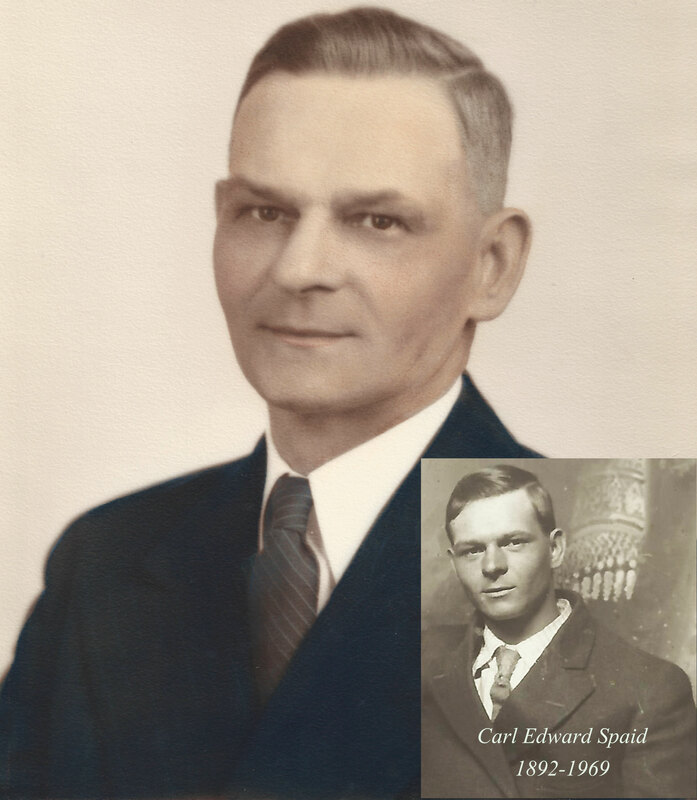 As the years of his life continued on, Carl eventually became my husband’s grandfather. I am told that Carl never said much, if anything, about his close encounter with the lightning. Considering the fact that he was in a coma for a while after the strike, it is quite possible that he had little to no memory of what happened. 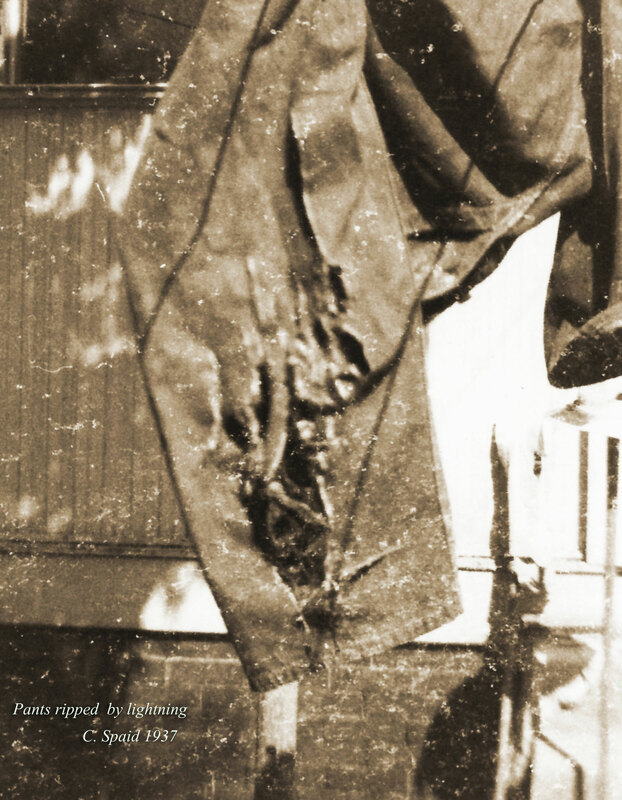 Looking at the old photos that we have, it appears that the lightning snapped a metal band around his hat, blew a hole into the side of it, shredded his clothes while passing downwards, and then violently exited out through his shoes. Personally, I don’t understand how he could have survived such a powerful electrical jolt from the universe, but he did. There must be a plausible explanation—I just don’t know what it is! Could be that miracles do happen. 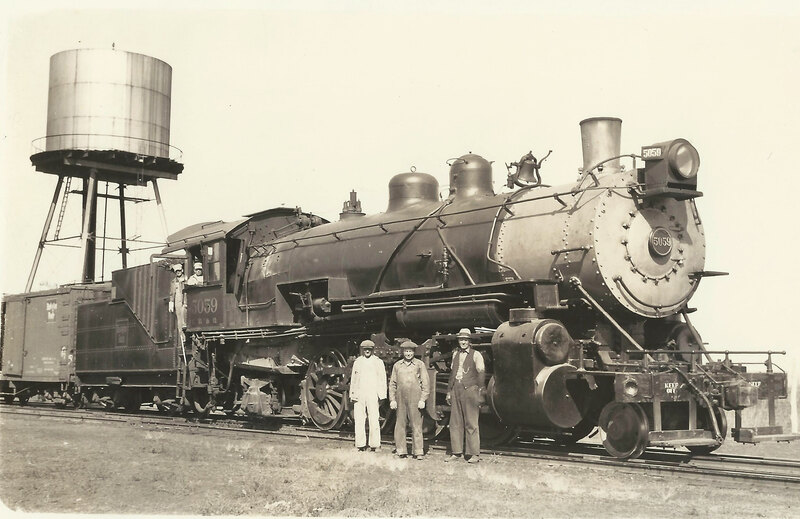 Carl must have been a very strong man, both physically and mentally, because he returned to his job as a Burlington railroad switchman after he recovered. I don’t know if I could have done that. After being struck by lightning and almost dying, I think I would have worried every time dark clouds brewed on the horizon again! Regardless of any inherent dangers, he must have loved his job because he stayed with it for 37 years–until he retired. 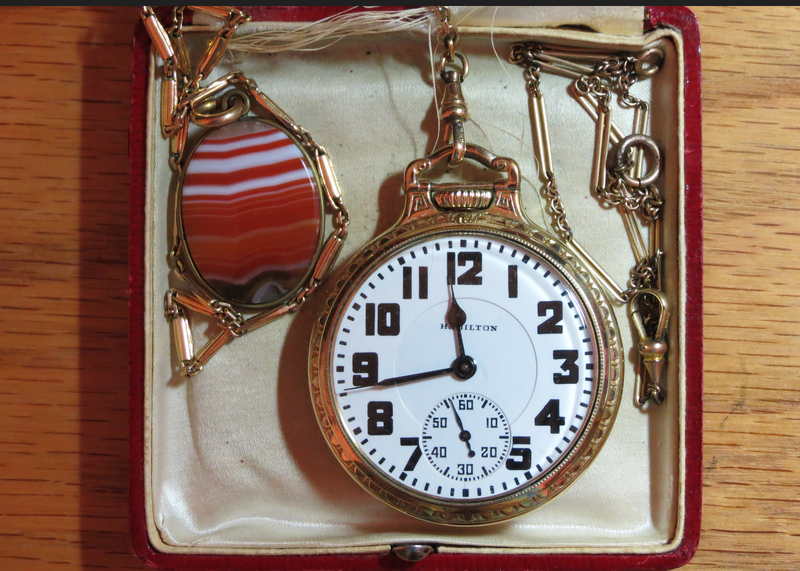 Carl’s pocket watch ( a 1936 992E “Elinvar” Railroad Pocket Watch made by the Hamilton Watch Company) still works…amazing! My husband says his grandfather also had a smaller pocket watch which he carried sometimes, so we will always wonder which one he had in his pocket on the day the lightning struck. Guess we will never know for sure. 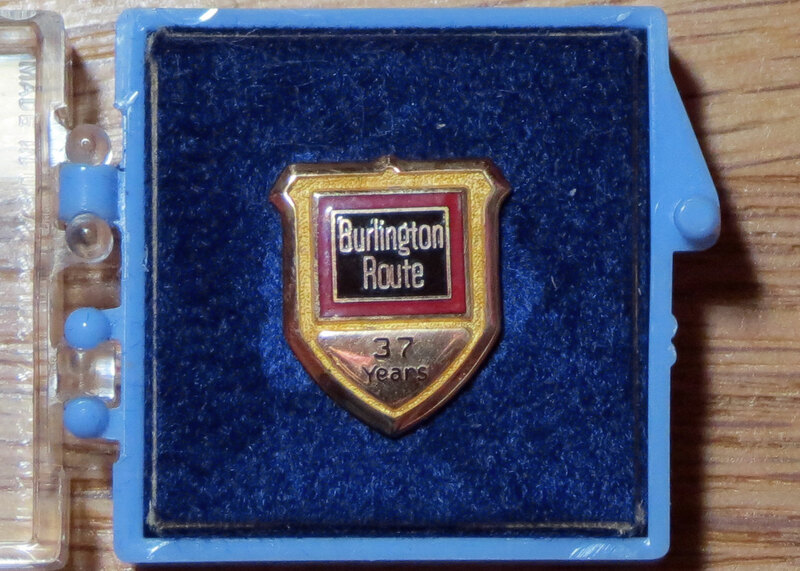 This entry was posted in History, Nature, Photo Essay, photography, Science, Trains and tagged Burlington Route, Electricity, Storms. Bookmark the permalink. If I didn’t have the photos and the newspaper article, I would have a hard time believing this story. But, it is all true! incredible story Mary and an awesome post with everything you included here …. Thanks Jimi. It does make one believe in miracles! Must have been extremely brilliant, so brilliant that it threw him into darkness for a while. Kind of like having the opportunity to see the face of God (and being allowed to live after the experience)! looking over my shoulder because i can feel them …. in a similar way …..
Quite alright, Jim. It would be interesting to know what he felt when that happened. But my husband says he never heard the story or saw the pictures….until after his grandfather died. I am told that his grandfather never mentioned it. Either it was too traumatic to talk about, or the lightning strike knocked him out so quickly that he didn’t remember anything at all. Fascinating that you saw the faces of all your angels. Have you ever written about it? If so, what is the title of your blog post?. I would certainly like to read it! I am also fascinated by these kinds of experiences. What a story! Thanks for telling and sharing this, Mary. Hi Mary, Lucky Carl indeed. It would have certainly given him a jolt. I’ve been struck three times, had a ball of lightning hover over my head, had lightning strike a tractor I was driving and electrocuted twice. I don’t recommend any of them. I think the lucky part is where the lightning travels through the body. it can certainly mess with your life. Wow and everything is so beautifully preserved. What a great story to hand down the generations. It really is an interesting story. I keep wondering how he survived. Maybe the lightning went through so quickly? I wonder if he was standing on the railroad tracks…. You must be very grateful that Carl was such a strong man, or your own life would have taken an entirely different route since your husband would never have been born. Reminds me of the movies “It’s a Wonderful Life” and “Back to the Future.” What a difference one life can make! How cool that you have those photos and articles. Such a fascinating story. Thanks for sharing. Thanks! Lucky we have the photos and the articles….without them, I would find this story hard to believe! That is for sure miracle. This kind of people is our connection to the nature disasters. Them are only the witnesses who can tell us what they felt while been under that terrible power. Lucky Carl and family. Great story! Lightning is an awesome power, that’s for sure…. Mary, fascinating story! My older brother is in the same category as your husband’s grandfather. 25 years ago, he was struck after a storm had passed by. In his arm, out his foot. Messed him up horribly for so very many years – literally put his nervous system into uncontrollable spasms. The only way to deal was being knocked out in a hospital. While those finally passed, to this day he has no feeling in his arm and leg and continues to suffer the consequences of all that that entails as well as lingering effects of the strike. I don’t know how or why he was spared; just know it apparently wasn’t his (or Carl’s) time. I definitely have a healthy respect for lightning. Thanks for sharing. 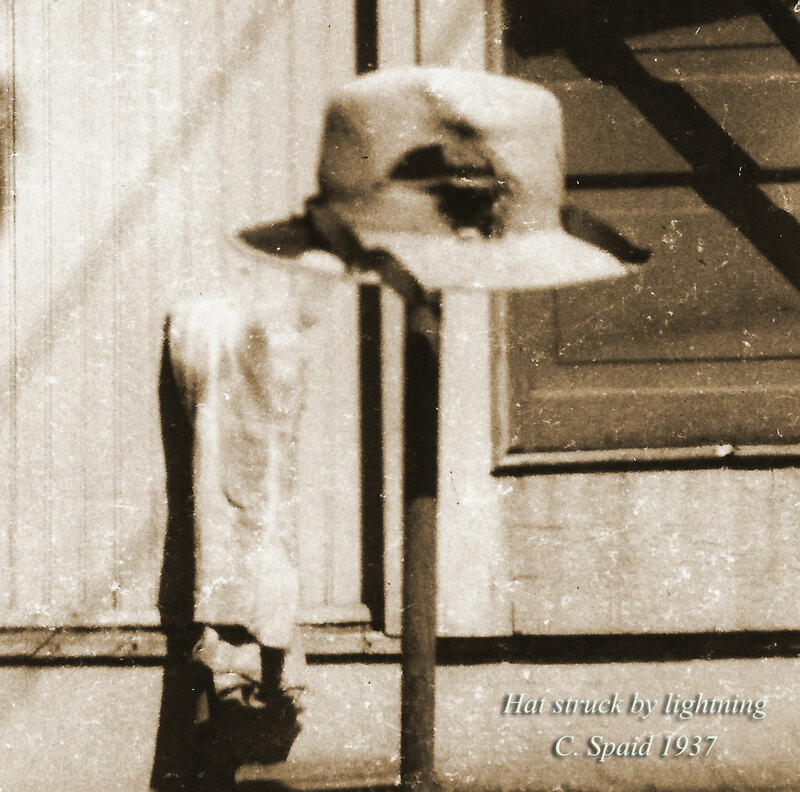 For some reason, Carl Spaid suffered no long term effects from the lightning strike. Maybe it is because it went in and out so quickly…I don’t know. The doctors said that somehow it managed to miss all of his major organs as it passed through. I am sorry that your brother has suffered lingering effects. I know that nerve pain/neuropathy is so hard to deal with. I foolishly damaged a nerve (over time) by sitting too long at work every day, and then sitting for hours and hours in traffic. Now I type standing up or kneeling. I purchased a “kneeling chair” and also found someone who is good at “myofascial Release” therapy. From this point forward, I will remember that I need to get up every so often. Too much prolonged sitting is not healthy. Ooh, I hope it works for you too, Mary. I’ve suffered neuropathic pain as well – not fun at all! Great story and photographs! It’s common for people who have these near-death experiences to have a spiritual awakening. Did the experience change Carl’s life in any way? Unfortunately, now that we are old enough to ask questions like that….there is no one left to ask. I would guess that it did change his life–coming so close to death and then getting a second chance on life. Undoubtedly, he cherished each moment of the time he was given. What a wonderful nostalgia piece. I have always been someone to toss clippings out but my wife loves to keep old clippings. There are definitely some old clippings worth keeping! I have got Suzy with me now and she has just read your comment and is excited about it. I will definitely think twice before throwing out papers from now on. Thanks! Stories like this would make it onto the 24 hours new stations these days….but back then, the local paper was the only one who reported it. Lucky the article was saved! This is such a beautiful story!! Thanks for sharing. Thanks! Kind of hard to believe…but true! Thanks and your welcome, MK! We just had quite a thunderstorm here….complete with hail! 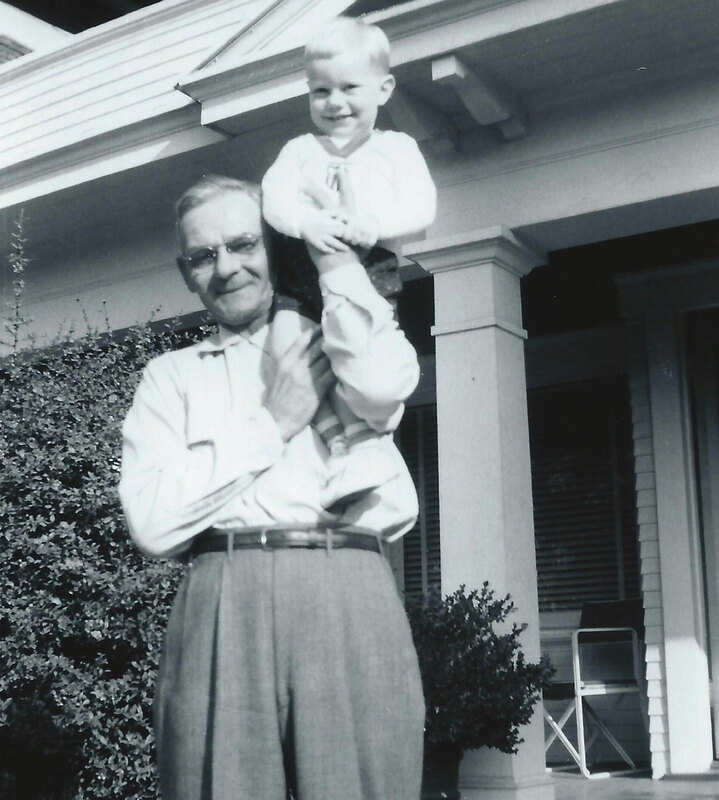 Acceptance of what is and humility in the face of true greatness – both admirable traits that I’m sure have been passed through the generations of your family. I will pass your message on to my husband. He will greatly appreciate it! True. Old photographs are pretty accurate and trustworthy (they existed long before Photoshop). Like you, I consider this to be a miracle too. A very, very lucky man! Excellent story. I’ve read of other survivors of lightening strikes and it always seems amazing they lived – given the power of the jolt. It’s a real testament to the human spirit that he came back to the job he clearly loved and went on with his life. Thank you! It is amazing. I thought anyone struck by a bolt of lightning (especially in the head) would be killed almost immediately. If it wasn’t for the photos and the articles, I would have a hard time believing this story is true. I agree. It is a real testament to the human spirit! My husband often says that too…..when it’s your time to go, then you go (and not before that). That was a great story, I really enjoyed it. 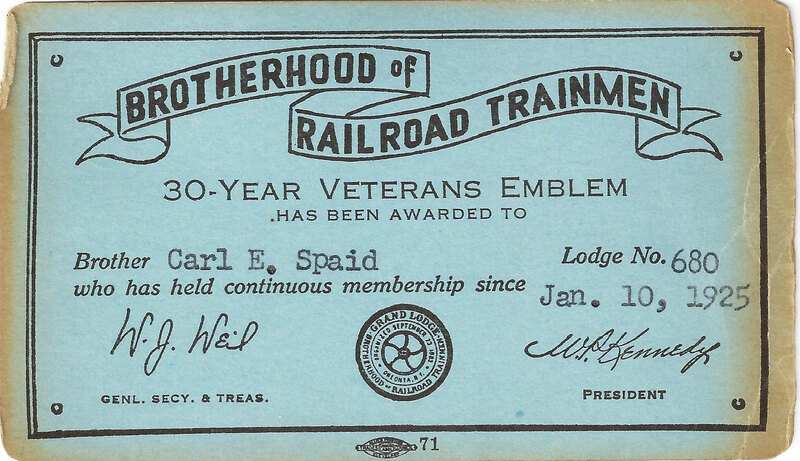 My father worked for the Seaboard Railroad in Florida for 34 years. He had a watch just like the one in the story. It was given to his grandson. Thanks for visiting my Blog, please come back anytime. My husband was the grandson who inherited the watch in the photo, and he just gave it to his grandson. So, the great-grandson has it now…..and he walked across the stage to get his diploma with the watch in his pocket. And the memory lives on. Good to hear that the watch is still in the family and the memory lives. I heard angels once. They were as clear as a bell. I have had no other spiritual experience to compare to that. I was not in any near death experience saga, but those angels were singing! Angels love to sing–they can’t help themselves. One time, when I sang a high C while standing next to my piano, I thought I heard a chorus of angels. So I sang the note a second time…and I heard the beautiful sound again. Then I realized the sound was coming out of the piano. So I lifted the lid of the piano, stuck my head in close to the strings, and sure enough when I sang the note again…..all of the strings immediately answered (sang) at the same time, from the lowest to the highest. It is what I imagine a choir of angels would sound like. I used to hear that same “music” when I was little. At night, right before I would fall asleep, that angelic sound would come and sing me to sleep. Somewhere along the line, I lost my ability to hear the night music, but I know it is still there. Wonderful story, Mary! Great stories like these deserve to be shared again – which you have done here so well, and initiated a fascinating discussion. Good job! Rumor has it that somehow the lightning went through and touched no major organs. But still, you would think it would have had a lasting effect on the nervous system. It is true that, back then, people were taught to keep things to themselves. I just found out a few years ago, that most of my female relatives have autoimmune thyroid problems. It was only when the younger generation started having problems (and talking about it)—that the older relatives started saying “Oh yeah. I’ve had that for years.” It was like….OK. It would have been a lot easier for the younger people in the family to figure it out…IF they had known!! This is a regular free WordPress blog. It is called “The Twenty Ten Theme.” You can change the background color…so I changed it to green. You also have the option to change the header. So I combined 5 of my photos in Photoshop and put them in as the header. Other than that, I can’t do much of anything else. I had to pay $20 for a “space upgrade” to be able to upload mp3 files. I also had to pay $30 to keep advertisements off of my page. So my free WordPress webpage isn’t totally free. I don’t have the option to change fonts or colors. 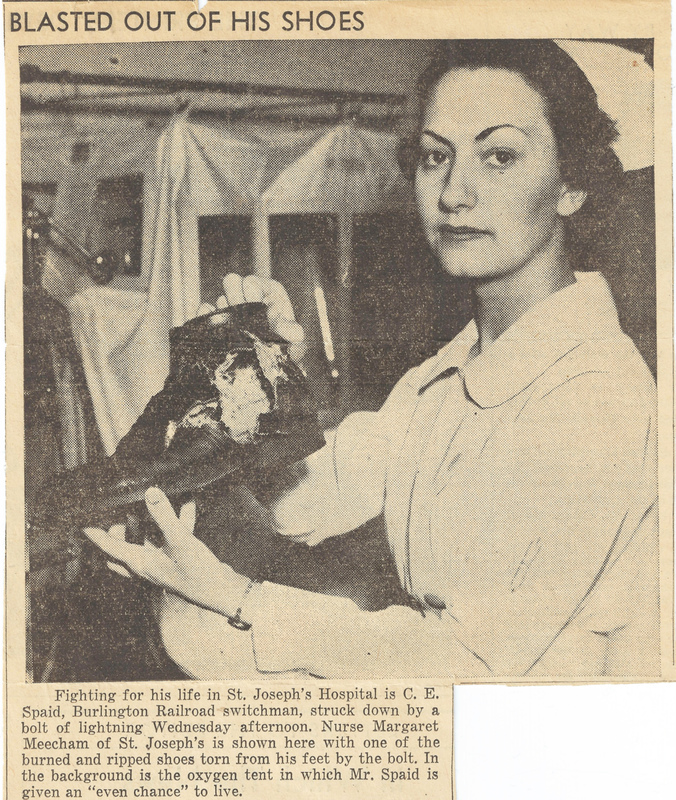 Loved reading about this event…hard to imagine! Not many people experience the electrical current of the universe from head to toe…and live!